His business is going up in smoke – but for him, that’s a good thing. 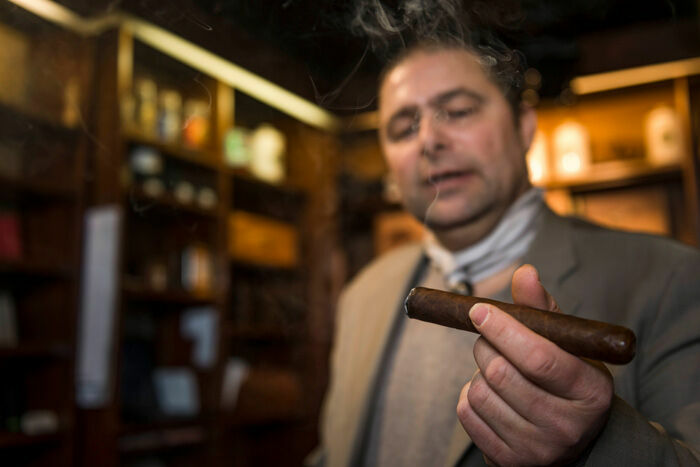 René Wagner has been selling pipes and cigars from his shop on Storchengasse for 30 years. Not far from the lively Bahnhofstrasse, surrounded by high-end boutiques and jewellery shops, you’ll find a unique gem measuring just 19 square metres: the Wagner Tabak-Lädeli. 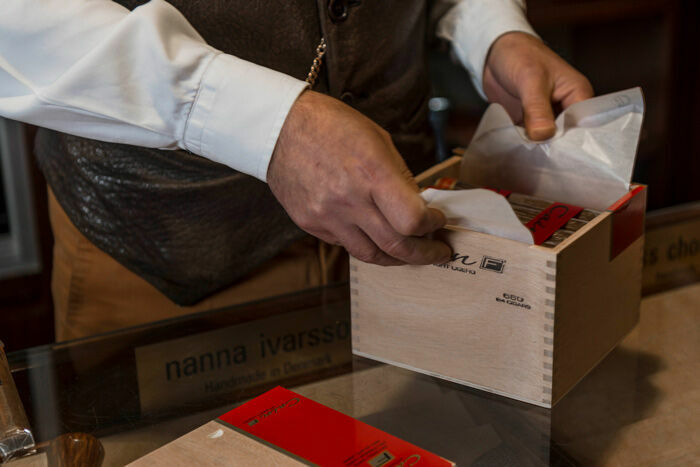 In the last independent tobacco product shop in Zurich, René Wagner offers more than 600 different types of tobacco and cigar. René Wagner stands behind the counter, stylishly dressed in a dark jacket with a gold watch chain. He looks timeless: a bon vivant who knows how to enjoy life. And that’s exactly his business. 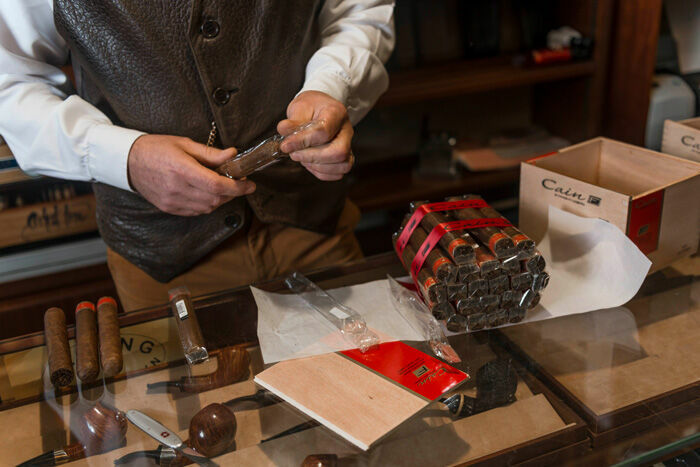 The Zurich native has been selling top-quality pipes, tobacco and cigars for over 30 years, and his 19 m2 sanctuary at Storchengasse 19 is home to a hoard of treasures. Towers of tins containing more than 300 different types of tobacco reach to the ceiling. An equal number of cigars nestle in boxes, waiting for buyers. Wagner would have long since lost track of everything if he didn’t have a computer: ‘The range is too large. I have to fight to find room for all the new products,’ he says with a slight smile. And those products don’t come from just anywhere: Wagner is well-known in the industry. 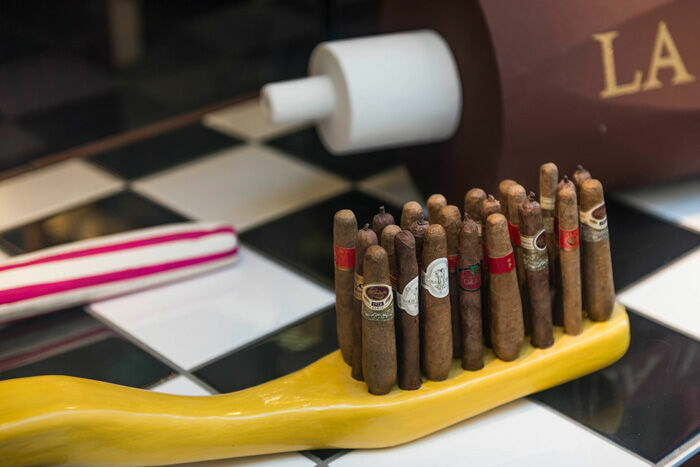 He has built up a worldwide network of contacts and maintains personal relationships with a large number of manufacturers; for example, Padrón, a Nicaraguan company that produces top-class cigars. ‘I know their whole family,’ says Wagner. So the latest trends always make their way to Storchengasse 19. The 61-year-old tries them out and sells whatever he thinks works. ‘If the product has the right quality and aroma, I add it to the stock,’ he says, puffing a thick cloud of smoke into the air from his curved pipe. ‘How many do you smoke a day?’ He shoots back: ‘I don’t smoke them, I enjoy them!’ Enjoyment is allowed. Smoking has fallen into increasing disrepute in recent years. When Wagner entered the business in the eighties, the environment was quite different: smoking was a part of polite society. People puffed away in bars, offices and on TV as though their lives depended on it. 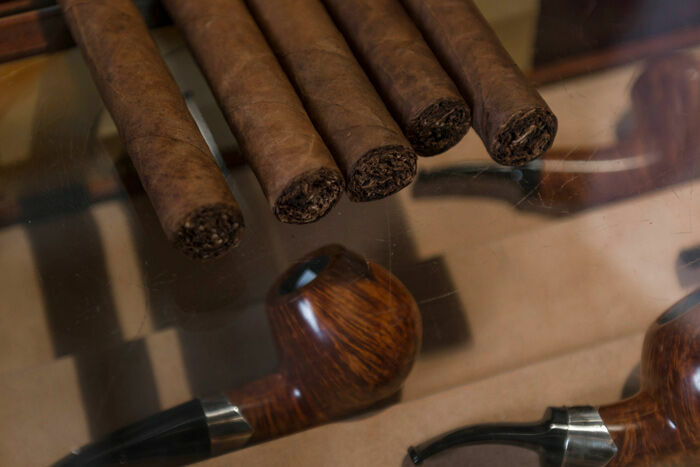 Back then, when everybody smoked, Wagner hardly touched tobacco: ‘I was a dedicated boxer when I was younger, which meant I was less interested in the stuff,’ he recalls. different types of tobacco reach to the ceiling. He puts the success of his shop down to human nature.